Transitional 32-inch L x 28-inch W Framed Wall Mirror in White The Avanity 28-inch x 32-inch poplar wood framed mirror features a contemporary white finish and a simple clean design. It matches with several collections (Brooks, Modero, Tribeca) for a coordinated look and includes mounting hardware for easy installation. The mirror hangs horizontally and vertically. 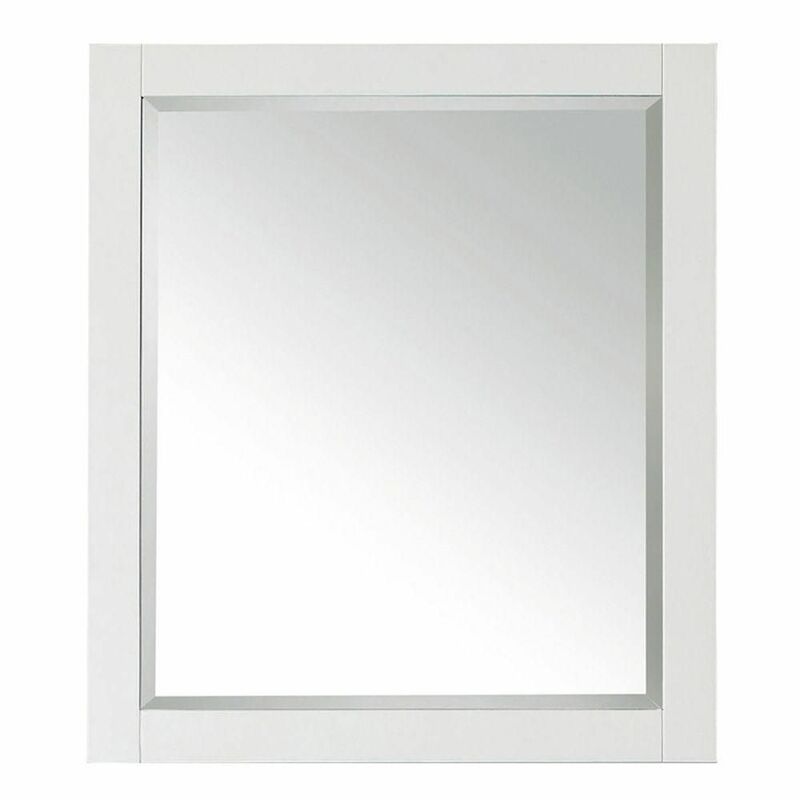 Transitional 32-inch L x 28-inch W Framed Wall Mirror in White is rated 5.0 out of 5 by 2. Rated 5 out of 5 by limodriver422 from Very sturdy mirror. Stays flat and still while cleaning. Has some weight to it. Great for my ha... Very sturdy mirror. Stays flat and still while cleaning. Has some weight to it. Great for my hall bath.